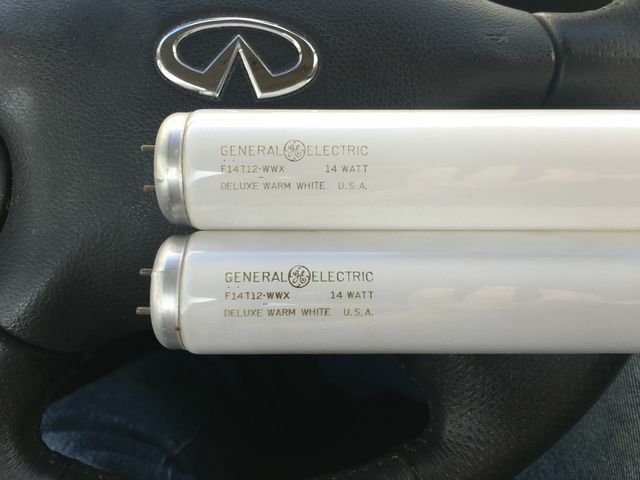 Lighting-Gallery-net - Fluorescent - T-12 and larger/GE 14w Deluxe Warm Whites from 1965 quite a find! GE 14w Deluxe Warm Whites from 1965 quite a find! Way cool find! A few years earlier, these were known as "Home Line." Then in the later 70's they were known as "Soft White" then "Kitchen & Bath." Great find as labeled "Deluxe Warm White." Awesome find! I had a good score after a long dry spell at ReStore yesterday. Great find. I had one of of these in a desk lamp. The lamp got broke. Wow awsome inside etch those are the best!